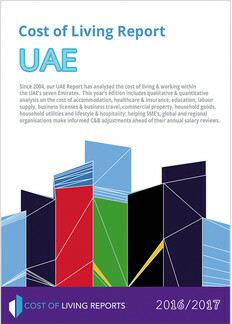 The report helps SME’s, global and regional organisations make informed C&B adjustments ahead of their annual salary reviews. BridgeTheData also publishes industry-wise Salary and Compensation Reports. Call us on +971 4 278 5200, or email costofliving@gulftalent.com to know more. Formerly known as Cost of Living Reports Middle East, BridgeTheData publishes reports on the cost of living for all of the GCC, Iran and Egypt. With over 12 years of data accumulated on the cost of living across the MENA region, BridgeTheData helps to close the gap between HR and finance personnel and the limitless data points they need access to, to accurately formulate their annual C&B adjustments and allowances.